Container chassis for 20’, 40’ and 45’ feet container and tank container transportation. 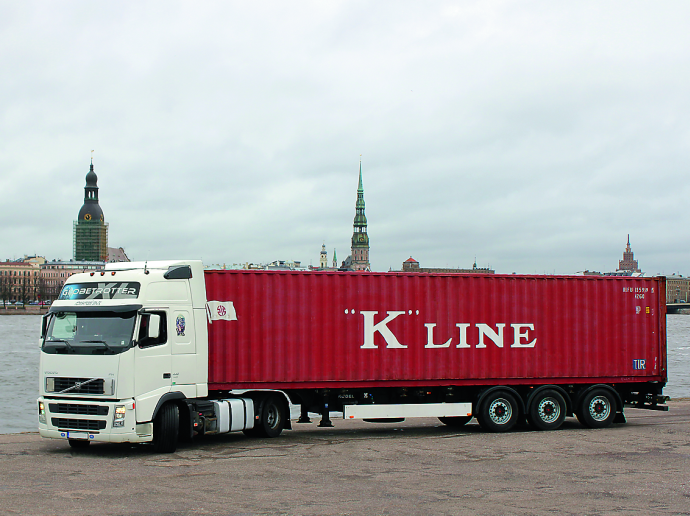 KL Shipping owns and operates a fleet of VOLVO vehicles with container chassis. Our trucks are equipped with satellite tracking that enables us to see the progress of carriage at any given time. We use them for haulage of containerised cargo from port to premises of the client and vice versa. With the use of our own container trucks we can ensure our clients and their logistics with stable, safe and timed deliveries.